Netanyahu finds Hizbullah weapon factory in Lebanon! On Saturday, the serial liar Benjamin Netanyahu warned Tehran that he wouldn’t let build underground arms factories in Lebanon for Hizbullah. His threat was aimed at Lebanese government that Israeli airstrikes will blast such underground factories as it did Iranian-assisted on-ground weapon factory in Al-Yarmouk (Sudan) in October 2012. 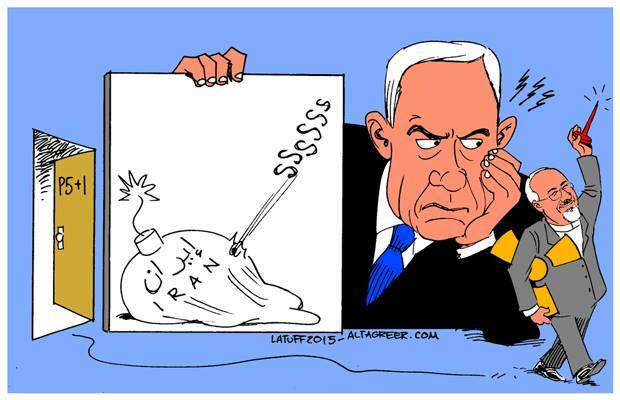 The Zionist regime had claimed the said factory was used by Tehran to manufacture ammunition for the Gaza-ruling Hamas. Khartoum government had blamed the explosion in the factory as a terrorist attack by the Zionist entity. On April 4, 2017, the ruling Likud Party mouthpiece, the Jerusalem Post reported that Israel’s intelligence ministry had claimed Iran is building several rocket manufacturing facilities in Lebanon for Hizbullah. These facilities are 50-meter deep underground, similar to Iran’s underground nuclear bomb-making facilities reported by Netanyahu – another lie fabricated by Netanyahu since the 1990s. Netanyahu claims the source of this information comes from a Kuwaiti newspaper. Let’s not forget Kuwait is currently conducting dialogues between Riyadh and Doha to end the siege of Qatar by four Arab neighbors (Saudi Arabia, Egypt, UAE and Bahrain). Furthermore, Kuwaiti ‘royals’ like the Qatari ‘royals’ are not anti-Iran. US ambassador to Lebanon, Israel-First Elizabeth Holzahll Richard who had admitted that her official duty is to destroy Hizbullah, couldn’t find this smoking gun for Netanyahu. Nor Saudi Arabian-born anti-Hizbullah Lebanese prime minister Sa’ad Hariri, whose father Rafik Harriri, former prime minister of Lebanon, was assassinated by Israeli Mossad on Valentine Day 2005, had no knowledge of these deep underground arms factories. This latest smoking gun reminds me Netanyahu’s earlier lies about Hamas tunnels to smuggle arms. American Jewish academic and author Norman Finkelstein called Hizbullah, Defender of Lebanon (watch below).